Aurora is a long-term programme set up by the European Space Agency to explore the Moon and Mars, initially with robotic probes, leading the way for manned missions to both targets. 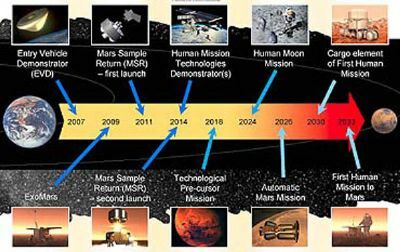 It has a defined programme of missions stretching over the next 30 years, and the first two are already in progress: SMART1 has reached the Moon, testing a new method of spacecraft propulsion - ion drive - and Mars Express is in orbit around the red planet, sending back excellent data. Why should the UK be involved? Involvement in Aurora will offer opportunities for various branches of UK science, engineering and research. It will provide jobs in the UK space industry and associated areas. Additionally, a MORI poll showed that the general public looks on space exploration as an area which inspires national pride and self-esteem. Also, very importantly, Aurora will provide inspiration for the next generation of scientists and engineers. These youngsters of today will be involved in the projects of tomorrow. The Research Councils, such as the Particle Physics & Astronomy research Council (PPARC), and other bodies such as the Royal Astronomical Society, are in favour of UK involvement, stating that there is compelling evidence for a strong and leading involvement in Aurora, and that the UK should take a leading role in the scientific and technological development of the programme. to ensure that the UK does not miss out on this exciting, challenging and rewarding venture. The annual subscription during the next 5-year period will be £25m, the equivalent of less than 50p per person. Further cost comparisons – which show how relatively low this amount is – can be found on my website. ESA funding rules mean that each country is awarded contracts to the level of their subscription, so we shall not lose out financially. http://www.parliament.uk/directories/directories.cfm I have already written to all four contacts. I have set up a website – www.geocities.com/uk4aurora – to help raise public awareness of Aurora and the benefits for the UK of involvement in the programme. It expands on the information above and encourages people to write to those involved in the decision-making process, expressing their own support. You can find further details, including cost comparisons and suggestions of what to say in your letter. • Tell other people – family, friends, work colleagues, other groups. • Contact your local radio and newspapers. Send them this information. If you don’t feel confident about talking to them yourselves, put them in touch with me. 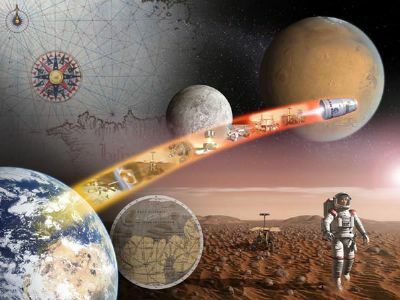 Aurora will go ahead – We must decide whether to take part in this exciting challenge and reap the rewards, or whether we will merely be spectators in the exploration of Mars. At last year’s annual Festival of the British Association for the Advancement of Science, BA President, Dame Julia Higgins said “the views of the public should form the basis of decisions on science made on our behalf”. Here is your opportunity to do exactly that.